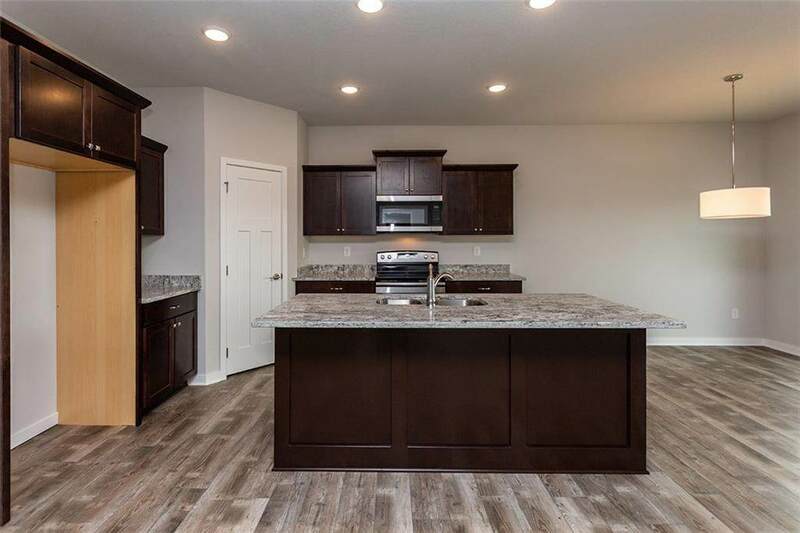 Beautiful, Kimberley quality, Ranch Townhome w/ almost 2000 finished SF w/2-car garage and UPGRADED covered patio Main level has 2 beds, 2 baths, 9' ceilings, laundry/mudroom, granite countertops, SS Appliances, Stone Fireplace, Luxury Vinyl Hardwood looking Flooring thru out home. Master Bath w/ double vanity, walk-in closet, pass thru door to laundry rm w/upgraded pocket door. Basement level has 1 bed, 1 bath, Large Family Rm, unfinished space for storage. Coffee cabinets, Delicatus Granite, Taupe carpet and Gray walls. with Copano 7" Oak LVP flooring. 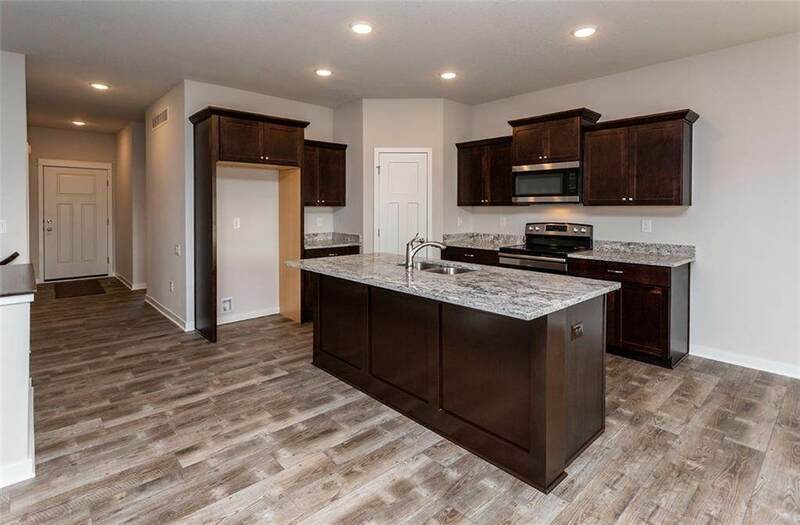 (pictures are similar too) Come see this Brand new development! 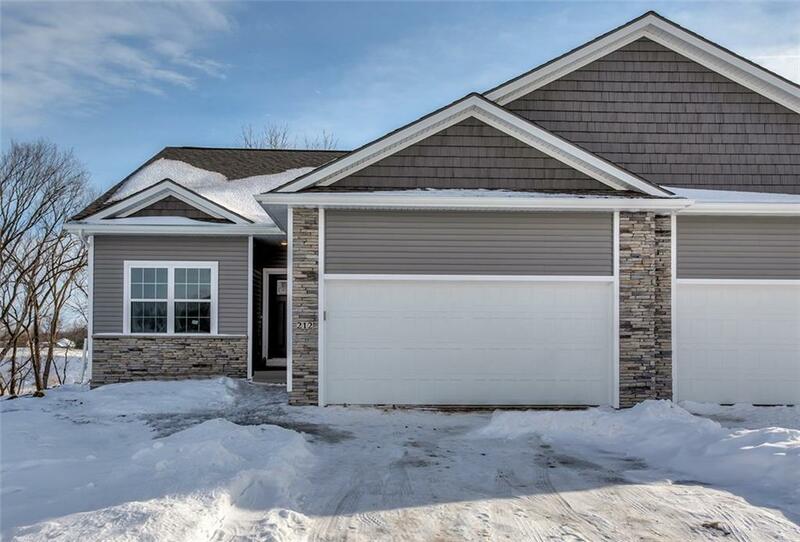 Tree lined lots, Small town feel w/ big town conveniences nearby, w/in walking distance to grocery store and restaurants, close to lakes, golf and bike trails! See why Kimberley Development has been voted Ankenys Best Builder 11 years! Now celebrating 40 years!